Diamond Home Care has achieved four-star status. Medicare’s Home Health Compare shows that Diamond Home Care has achieved four-star status for quality of care and patient satisfaction. A rating of four stars means we performed better than most agencies on selected measures. We are a Medicare and CHAP certified home health care agency. Since 2004, we have provided skilled care (nursing; physical, occupational, & speech therapy; medical social work and other skilled services) as well as personal care and non-medical assistance at home for thousands of people across Michigan. 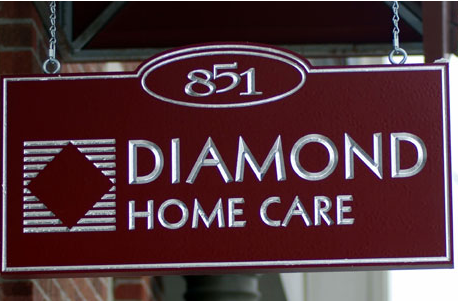 Why choose Diamond Home Care? There are many home care agencies for you to evaluate, but which one is right for your family and situation? Most home care agencies use the same words to describe their services – words like compassionate, caring, trusted, experienced, and safe. So if we all sound the same, then how will you choose a company that meets your unique needs? Like other agencies, we will tell you that we treat our patients and their families with respect, dignity, honesty, and warmth. We will also tell you that we are compassionate, caring, trusted, and experienced. Our caregivers are screened and monitored so you can feel safe with them in your home keeping you or your loved one safe. No matter who you talk with on our team, each of us feels like we have been chosen to be servants to those in need. We feel it is our duty in life to meet the deeper needs of those who are struggling, in pain, and seeking comfort. In our hearts, we want to help people continue to find the good in life and to feel courage to meet each day and make the most of it – no matter their age or condition. We want what is best for our patients and their loved ones, and we cherish them and all that is important in their lives. When you bring us in your home to care for you, we will ask the right questions, and listen intently to understand your goals, your motivations, and your life story. Then we will collaborate with you, your family, and your physician to meet your needs and wishes. We know you might be in pain and fearful that you can’t easily take care of yourself without help. We know that you might be cautious about bringing outsiders into your home. Those feelings are expected, and we will take every measure to ease your trepidation, decrease your pain, and help you feel better, more like yourself, more independent and capable. Thank you for trusting us. My husband and I are both seniors with our share of physical difficulties. He had open heart surgery a few months ago, and I am oxygen dependent with severe arthritis. The home health aide who helps us is very conscientious. She assists him with daily tasks, prepares meals, and goes far beyond what we had hoped. Thank you for your professionalism and dedication.